This 8x10 canvas board was super fun to make with Marabu Art Sprays, some Easy Marble inks and an assortment of other mediums. I love using sea salt to get sparkly effects! 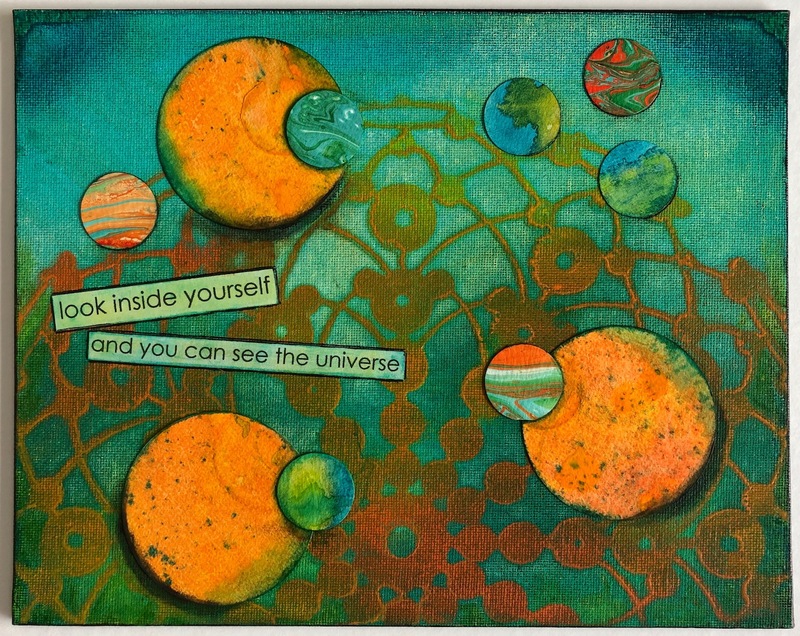 This was a fun canvas to make - a stenciled background and collaged planets, made with Marabu Art Sprays, Art Crayons, Easy Marble and Graphix Aqua Inks. I really like this quote by author Brian Herbert, too! 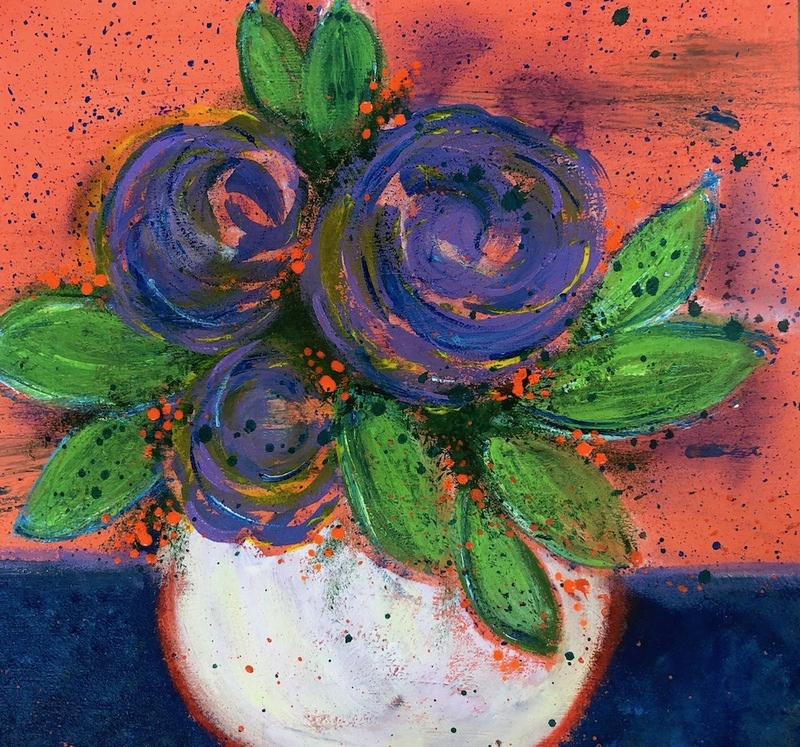 I took a great class with Casey Rasmussen White that helped me loosen up and learn how to paint an abstract acrylic floral on a wood panel. 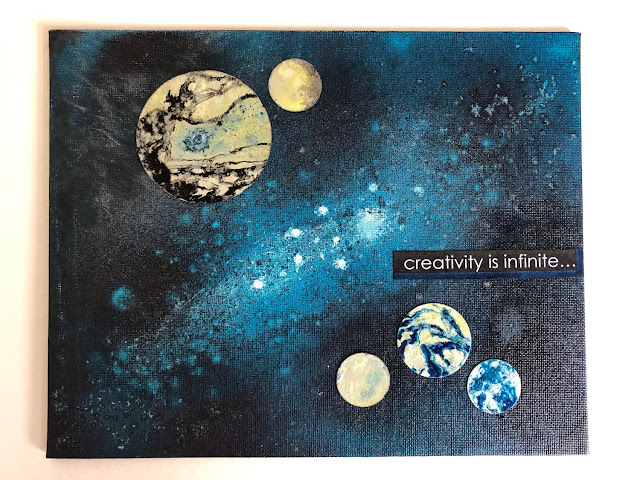 I love these colors together - and her best words of wisdom were about splatters - they can pull an abstract piece together and make everything look more cohesive. 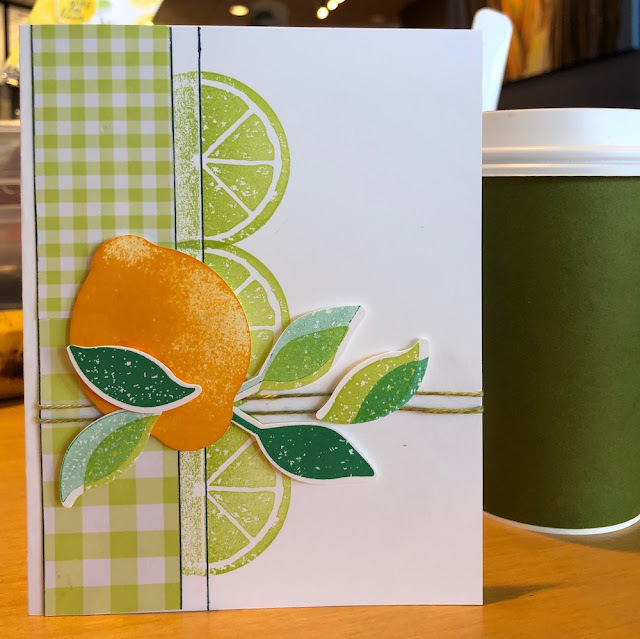 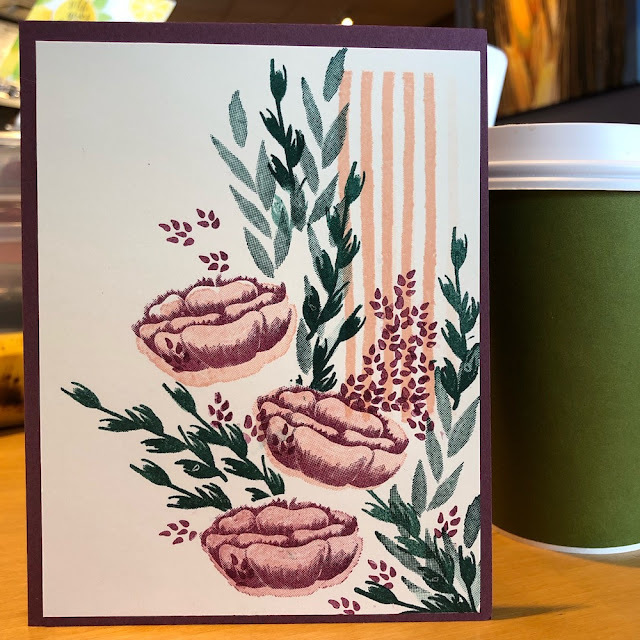 Whenever I go to my friend Liz's Cards & Coffee get-togethers, I go as rogue as I can - she always inspires me to try different artsy techniques with stamping. I like putting basic stamp images together into interesting compositions. 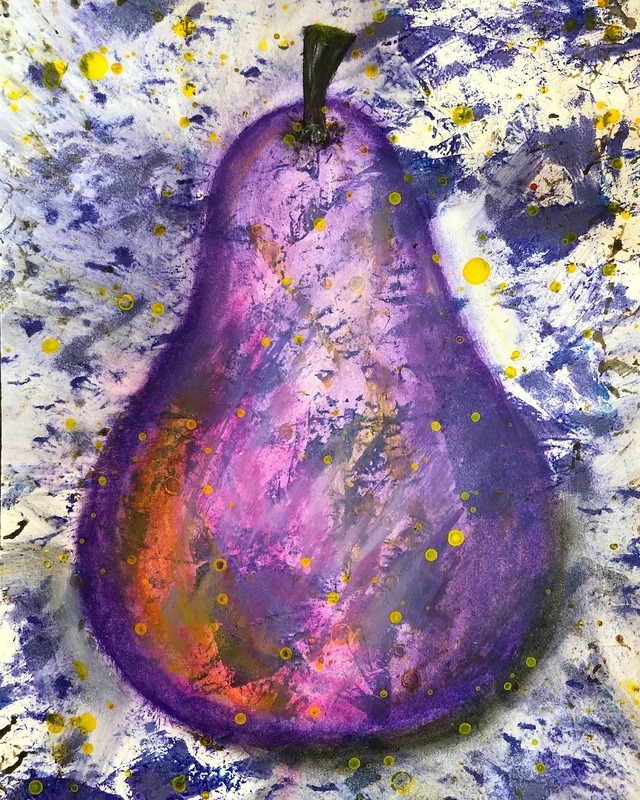 Pears are my go-to shape for sketching and painting, and especially for doing classes and product demos. 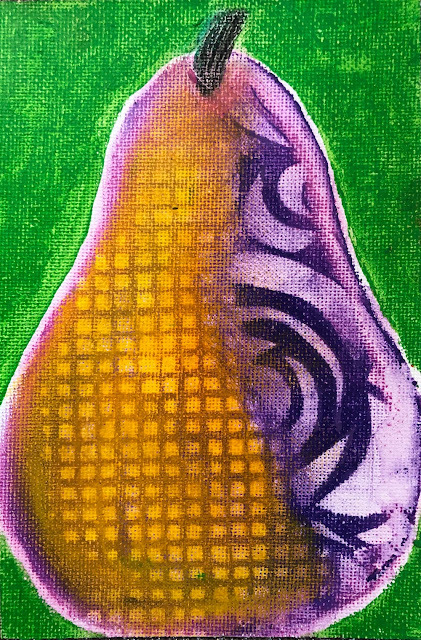 It's a simple, organic shape that is super fun to make more abstract with color, texture and pattern.